The new song released by the German metal band Rammstein is backed by a video that outlines the history of their country, including brutal Nazi imagery. The film accompanying the song "Deutschland" runs for more than nine minutes and depicts Germany, warts and all, in which members of the band recreate scenes from the country's history. In one of the scenes of the high-production film, band members have nooses around their necks. One looks like he is wearing a yellow star, the badge Jews throughout Nazi-occupied Europe were forced to wear. The prisoners then shoot people who are dressed like Nazi SS guards in the face. Emmanuel Nahshon, spokesman for the Israel Ministry of Foreign Affairs, was angered by the video and said in a tweet that “using the Holocaust for advertisement purposes, is shameful and uncalled for. We join the many voices calling for its immediate removal." His statement prompted many replies, some of which defended Rammstein's video for not glorifying the German past. Another tweeted: "They are depicting what their own countrymen did to a lot of people. Atrocities. They are German and show the other side. Maybe you should praise them instead." Nahson doubled down on his criticism, saying, "It’s a mistake and uncalled for to use the Shoah (Holocaust) in order to make a point. Especially in Germany. Especially in German." Felix Klein, the German government's commissioner for anti-Semitism, also criticized the video, saying that if the Holocaust was just used to promote sales, then it was "a tasteless exploitation of artistic freedom," the BBC reported. Charlotte Knobloch, a Holocaust survivor and former president of the Central Council of Jews in Germany, told German newspaper Bild “With this video, the band has crossed a line,” according to Euronews. The lyrics appear to show a love-hate relationship with Germany. According to an English translation published by Loudwire, one verse says, "Germany, my heart in flames, want to love you, want to damn you." The publication's Graham Hartmann gave his interpretation of the song as "mixing phrases of power and superiority with moral failure. For a track with a minimal word count, it gives the listener (and viewer) a lot to think about, which is ultimately the point." 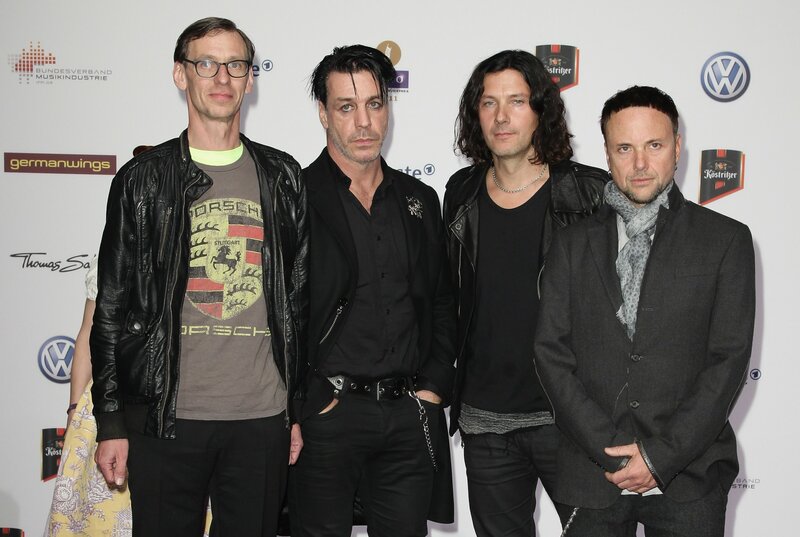 No strangers to controversy, Rammstein are known for their provocative music and for playing with dark imagery. In one video they used images from Leni Riefenstahl's 1936 Nazi propaganda film Olympia. Many of their songs and album artwork reference necrophilia, sadomasochism and sexual violence, the BBC reported. Five Holocaust Museums, Memorials Around the U.S.